As with many notable figures in history, Shinichi Suzuki rose to public consciousness in an unobtrusive manner. The children who motivated his life’s work grew in both numbers and were able to show the world what he knew from the beginning: that the life force is a power to behold, and those who have a hand in shaping lives of young people and their families share a dream which is life-changing for everyone involved. She talked of traveling to Japan in the days when her blond hair brought stares and giggles, and of being so very shy that it was difficult even to go out shopping. In later years that seemed hard to imagine, as Waltraud almost single-handedly oversaw the myriad details of running a center for Suzuki-method education; from a preschool, to hundreds of children and parents studying many instruments, to teacher-trainees who came from all over the globe. She read and answered letters from hundreds of teachers, parents, and interested parties, translated correspondence, and encouraged her husband to open their doors to the world. The only evidence of her former self was the way in which Mrs. Suzuki always welcomed the foreign students, inviting us into her home, playing the perpetual host so that life in a strange land was a little more comfortable. Suzuki-sensei seldom traveled without Waltraud by his side. Although in poor health for many years, suffering from emphysema, she accompanied Dr. Suzuki on his travels throughout the world. She was present at every conference, summer school session, institute, graduation concert, lecture, and recital that he attended, never letting on how ill she was becoming, or how difficult it eventually became for her to get around. At an International Suzuki Conference I was asked to translate for Dr. Suzuki. He was speaking to an audience of several hundred American and Canadian teachers in his legendary “English made in Japan.” Looking out into the puzzled faces, I began to translate his English, at which point Mrs. Suzuki spoke up quite forcefully, and motioned for me to leave the microphone. She was adamant that I not insult Suzuki-sensei, and I quickly apologized for inadvertently doing so. Although embarrassed, I was also impressed by the vigilance and sincerity Waltraud always demonstrated with regard to her husband and his work. It is impossible to imagine the spread of the Suzuki method without Waltraud Suzuki. Her unfailing loyalty to her husband often put her in an unpopular light, and her desire to protect him from the unpleasant aspects of running a business left Suzuki free to concentrate on teaching. Shinichi Suzuki was first and foremost an educator, and teaching, or thinking about teaching, consumed most of his waking hours 365 days a year. He always promised Mrs. Suzuki that he would take one day off each year on New Year’s Day. On the two New Year’s days that I lived in Matsumoto, Suzuki-sensei surreptitiously gave impromptu “lessons” at the party given for the teachers and students, using his cigarette holder as a violin bow. Although she sometimes complained that her husband lived for teaching, she was also the first one to speak with pride about his new ideas, and to be able to explain them in great detail. She was his voice to the world, beginning with her translation of Nurtured By Love, and continuing through a lifetime of travels to foreign lands to promote his philosophy and pedagogy. During Suzuki’s final year, his greatest wish was to be at home to rest and enjoy some peaceful time. Once again, as in so many previous years, Waltraud was his fiercest advocate. She cared for him at home, fought to keep him out of the hospital, and sat for hours by his side. Whenever he rested, she rushed to the school to take care of business, and at his request stayed actively involved with the affairs of both the Talent Education Research Institute and the International Suzuki Association. As her own health failed, Waltraud continued to carry out the mission of Talent Education, traveling around the world, answering mail, and working toward the continuation of all that her life with her husband had been about. She spent her life following his dreams, helping turn them into reality. She shared her husband’s passions, and shared Shinichi Suzuki with hundreds of thousands of teachers, parents, and children for well over half a century. After his death, she often pondered the reason for her continued existence, and came to the conclusion that there was still work to be done. I am left with a sense of loss since her passing; I already miss both the sharply raised voice and her contagious laughter. 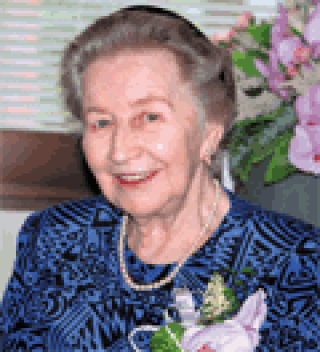 Waltraud Suzuki demonstrated, every day of her life, steadfast devotion to her husband and a commitment to the education of children, parents, and teachers of the world through her tireless efforts, stubborn persistence, and indomitable spirit. Michele Higa George serves the Suzuki Association of the Americas (SAA) as a teacher trainer, and has been a member of the SAA board and teacher development committee. She is executive producer of the award-winning documentary Nurtured By Love – the life and work of Shinichi Suzuki. Ms. George designed and implemented the Master of Music at the Cleveland Institute of Music in Violin Performance and Suzuki Pedagogy in 1986 and served as the Director of the Sato Center for Suzuki Studies for sixteen years. Ms. George resides in Chicago, Illinois where she works as a freelance musician, Suzuki teacher, and teacher trainer. Her time is largely devoted to raising sixteen-year-old daughter, Emiko.